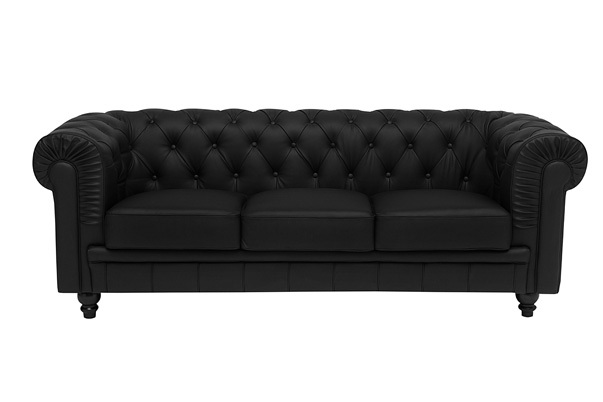 The Aristocrat Sofa is a classic chesterfield type sofa made of tufted leather and is available in black. We also carry the matching Aristocrat Chair. The Aristocrat Sofa is also one of the stylish components of our Aristocrat Lounge Grouping and the Mirrored Lounge Grouping.